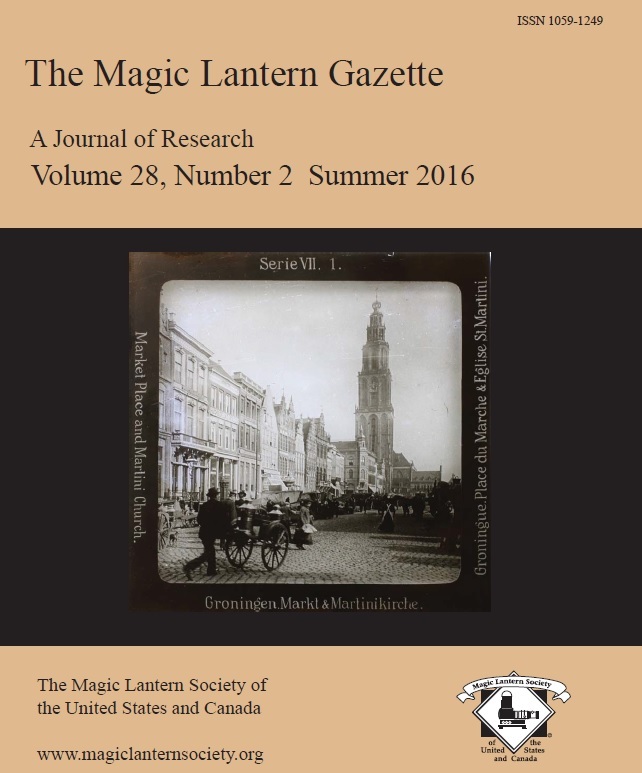 For The Magic Lantern Gazette, the Research Journal of the Magic Lantern Society of the US and Canada, Sarah Dellmann from the research team Utrecht published an article titled “Lecturing without an Expert. Word and Image in Educational ‘Ready-Made’ Lecture Sets”. In her article, Sarah Dellmann investigates the knowledge production about the Netherlands and the Dutch. She exemplifies her thoughts with a close reading of the lecture set ‘Quer durch Holland’ (‘Crisscross through the Netherlands’, Projection für Alle, 1906) through the visual aspects of slides and the textual comment of lecture. The slides that illustrate this article have been digitised as part of the A Million Pictures project and come from the collection of our Associated Partner EYE Film Institute Netherlands. This article is thus an outcome of the Work Package 1 – Learning about the European Neighbours.